I get quite a lot of emails asking me to 'blog' advertise food, events, offers, gadgets etc and I know I'm not alone. Most of them are not quite in keeping with what I am trying to do here on my blog, but having said that, I know that I have a large number of readers who do not have food blogs and they might like to know of some of the Christmas baking competitions and events that are happening. Here are a few that I know about. 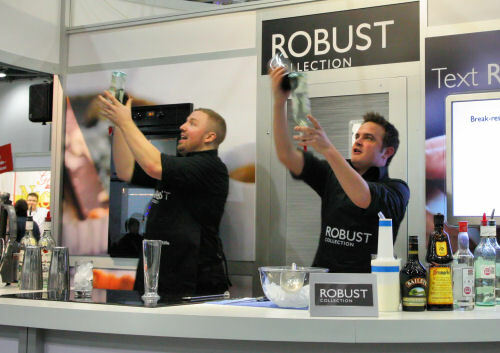 Held at Excel London (3-5 December 2010), Taste of Christmas is an event celebrating food and drink. There is a boutique market where you can source those essential ingredients for your festive table before settling down to a fine wine, rich coffee, quality cheese or chocolate tasting. You can visit the Taste Theatres, where top chefs like Heston Blumenthal, Antony Worrall Thompson and Jean-Christophe Novelli share their kitchen secrets. 12 of London’s top restaurants will be serving up seasonal menus of everything from traditional classics to cutting-edge cuisine - plenty to fire up the imagination, and your tastebuds. I went to this last year, had a lovely time and came home with some terrific things. Here are the Bar Wizards, it was quite exciting to watch them in action! Tate & Lyle are also appearing at the Taste of Christmas with their ‘We Love Baking’ stall, bringing their Facebook community to life. They will do a selection of different baking master class events, as well as recipe cards being handed out. 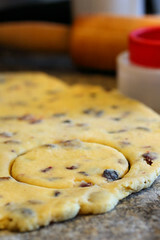 You may be interested in checking on the We Love Baking Facebook page for further news and updates. To celebrate this, Tate & Lyle are organising a competition. Prizes up for grabs include baking goodies courtesy of Holly Cupcakes, a stylish apron from Posh Pinnies, plus VIP tickets to the event! For a chance to win, simply send a photo of your Christmas Cake, Snowy Cupcakes or Festive Christmas creations to the address given on their website by Tuesday 30th November 2010. Please click this link for more information. 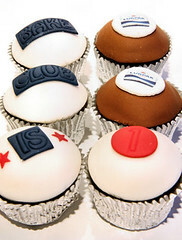 It's the first birthday of the Lurpak Bake Club and they are trying to get the nation to bake! 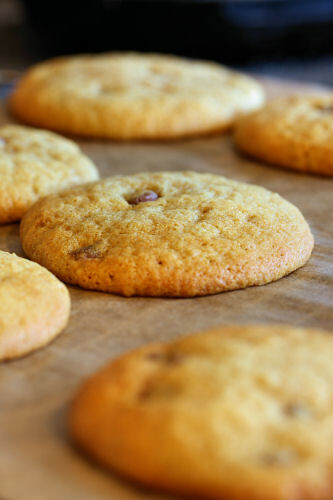 Pop over to the site for inspiration and to upload your Bake Club photos. Lurpak also has a 'Good Food Finder' site, where you can search for the best local produce in your area, or recommend your own Good Food Find, whether it be a traditional butcher or locally made cheese. The three finalists, chosen in February next year will also appear on ITV's This Morning in three films. Linda McCartney's love of vegetarian food enabled people to have confidence, enthusiasm and know-how to prepare home-cooked meat-free meals for all the family. This passion continues today with Linda McCartney Foods offering the UK public the chance to create a dish that will join the current range. 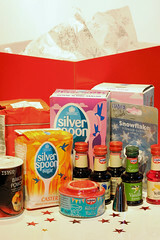 From 22 November 2010, hopefuls will have ten weeks to submit their recipes until 28 January 2011. From here, a judging panel will whittle down the entries to just three finalists who will receive a Baumatic oven of their choice*. 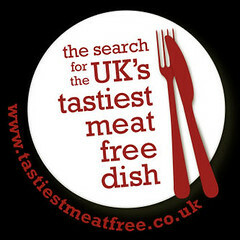 In addition Linda McCartney Foods will come to your hometown to create a mini documentary of you creating your tastiest meat free dish which will then be aired on ITV in April 2011. 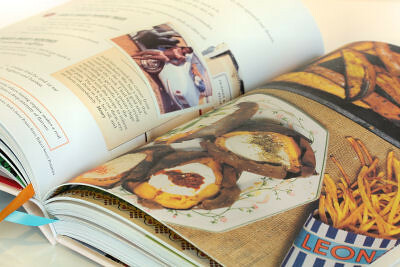 The next Linda McCartney dish will be chosen by the public through online votes and announced in late April 2011. In addition the winner will receive a handmade kitchen table provided by world renowned English Furniture maker Titchmarsh & Goodwin. This competition is from VoucherCodes 'Most Wanted' magazine and is about having fun, getting creative and coming up with something tasty that says 'Christmas' to you. It could be anything from an artisan bread, layer cake, cupcake, scone, macaron, whoopie pie, cookie, pie......the list really is endless the only constraint is that it has to be something baked. Bake something Christmas themed and you could be in with a chance of winning a £150 John Lewis voucher. 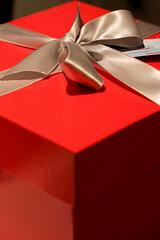 Entries must be in by Monday December 13 2010. You can submit your entries by emailing entries@vouchercodes.co.uk or post your entry up on your blog and email them to let them know it's there. 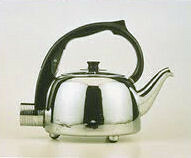 Do you have a Russell Hobbs K1 kettle somewhere in your attic? Russell Hobs have started a search for this kettle, which came out in 1955 and was the first kettle in the world to turn itself off once it had boiled - before this people had to be next to their electric kettles to turn them off manually and stop them boiling dry. The K1 solved the problem with a valve switch that turned the power off when the steam from the boiling water passed through it. They are asking people to tweet their pics of their K1 to @russellhobbsuk, put them on the Russell Hobbs UK Facebook page or upload them to the Russell Hobbs Flickr page. Every picture they receive will win a 10% discount off a Russell Hobbs purchase and Russell Hobbs promises the lucky owner(s) of a K1, the full Russell Hobbs unique Heritage Collection. Jason Steer, European Marketing Director comments: “Despite all the nice stories we hear about the newer K2 product we sadly haven’t been able to track down a working version of its older brother the K1, and this is why we have decided to launch this competition to find a fully operational version. We would like people everywhere to check in their relatives’ attics and basements – anywhere they think one could be hidden”. We are right in the middle of National Curry Week (21-27 November 2010) and to celebrate this, Cobra Beer is working with curry houses across the UK to spice up the nation’s favourite regional dishes. Having teamed up with currinary talent and best-selling Indian cookery writer Pat Chapman, made-for-curry beer Cobra conducted a survey which identified the nation’s top ten favourite regional foods. Various ‘Br-Indian’ versions were then created of each of the nation’s ten favourite traditional dishes. 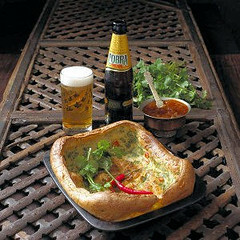 While the humble Yorkshire pudding has been named Britain’s number one favourite regional dish, the results of the survey also includes the Cornish pasty, the Devonshire cream tea, the Bakewell tart, haggis and Welsh rarebit – all of which have been ‘curried’ in celebration of Cobra National Curry Week 2010. There are ten new delicious recipes – including ‘Devonshire cream chai’, a spice-infused take on the teatime classic served with chilli jam; ‘ha-ghee-s’, traditional haggis served with curry sauce; and ‘pie, madras & liquor’, an Eastern twist on the East end favourite – which will be sold in participating regional Indian restaurants across the country throughout Cobra National Curry Week 2010, 200 years on since the very first curry house opened in Britain in 1810. For details of the nearest participating curry house as well as the recipes and details of the curry houses selling the special dishes during National Curry Week, go to the Cobra Beer home page or their Facebook page. One of the recipes, Yorkshire Chilli Pepper Pudding, looks really good! If you are in Kent and are interested in the Kent Christmas Farmers' Markets, you will find a good list on the Kent Life website. 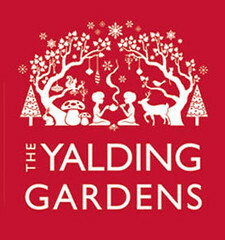 Yalding Gardens are having a special Christmas Fair on Sunday 28 November 2010. You will be able to buy a varied range of delicious products, including chocolates, biscuits and cob nuts. Entrance is free and it runs from 10-6pm. There will also be a range of workshops. These will focus on skills such as Wreath Making by Blooming Green of Channel 4’s My Dream Farm fame, and a helpful cooking demo by Hari Covert - Kent's first underground dining chef on "how to cook for a stress free Christmas". 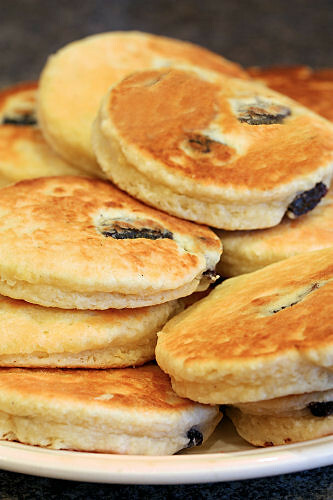 There will be delicious seasonal fayre on offer to keep all visitors fed and watered. Father Christmas will pay a visit so the kids can meet him and collect a small gift, and there will be a whole host of fun and games for old and young. I am not paid to promote these sites on my blog, however, I do occasionally get offered free samples and products to try. How are your cupcake decorating skills? 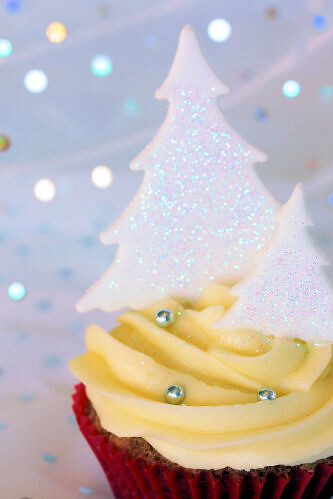 Tesco's have just launched a fabulous Christmas cupcake decorating competition, and two lucky winners will get to spend an afternoon cooking alongside a celebrity chef! There are also 10 runner up prizes of a cupcake decorating kit. I made some vanilla cupcakes with vanilla frosting, using the Tesco's 'Cupcake with Vanilla Frosting' recipe. The recipe surprised me, the cakes were light, moist - and were declared 'awesome' - the frosting was equally good and I topped the cakes with sugar coated fondant trees. If you need some inspiration for your design, head over to the Tesco Real Food website where you will find some decorating ideas. 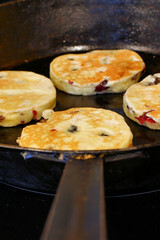 I discovered that there are also loads of other delicious recipes on the website. There's even a range of step-by-step cooking tips and videos to help improve your kitchen skills, plus a healthy eating section and one for cooking with kids. If you do your shopping on line, you will see that each recipe has a ready-made shopping list that can be used to add all the ingredients to the shopping basket in just a few clicks. You have until Monday 29th November 2010 to upload your decorated cupcake photo onto the Tesco website, where you will also find the full terms and conditions of the competition. "What is a whoopie pie?" That is the question my mum asked me when I said I would be making some from a new book called 'The Whoopie Pie Book' by Claire Ptak. 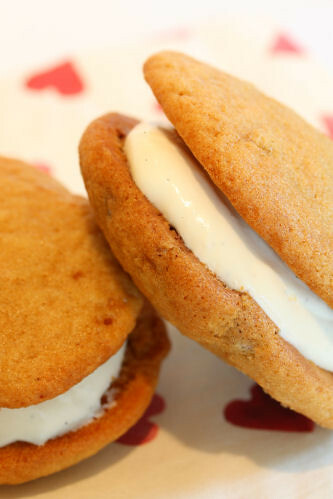 Whoopies are becoming increasingly popular and have even threatened to take over from the much loved cupcake. While not actually being a pie or a typical cake, I can tell those who have yet to come across a whoopie, that they are two small flattish cakes that are sandwiched together with a filling. Whoopie pies are thought to have originated from the Amish communities in the US, where school children and farmers are said to have responded to finding these special treats in their lunch boxes with a resounding "Whoopie!" I'm not sure that my son said that when I gave him one recently, but I do know that he snuck into the kitchen later that evening and demolished a large number rather quietly! 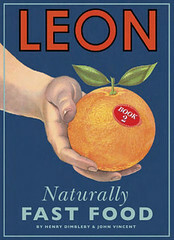 As we are on the run up to Christmas, there are a lot of new cook book releases. 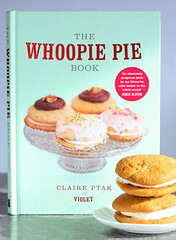 The Whoopie Pie Book is one of these and I can tell you that is it a treat of a book. The author, Claire Ptak, came to the UK from California, where she worked as a pastry chef for Alice Waters at Chez Panisse in Berkeley. 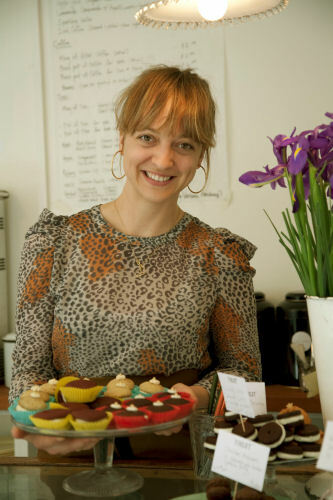 She now runs Violet, a baking company in East London, best known for American style cupcakes using organic ingredients. This book has over 60 recipes, including recipes for simple whoopie pies, iced & glazed whoopie pies, topped & drizzled whoopie pies, plus frozen & chilled whoopies. There is even a chapter with some special whoopies, including Christmas, Easter and scary Halloween whoopies. 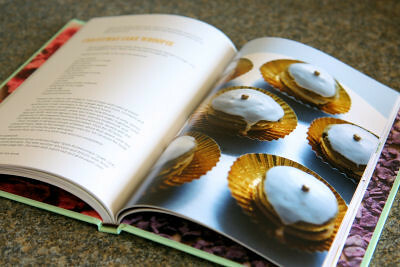 Look at the glorious photos that accompany each recipe - I have my eye on these Christmas Cake Whoopies! I decided to make the chocolate chip whoopie pies, the recipe was easy to follow and they turned out well. 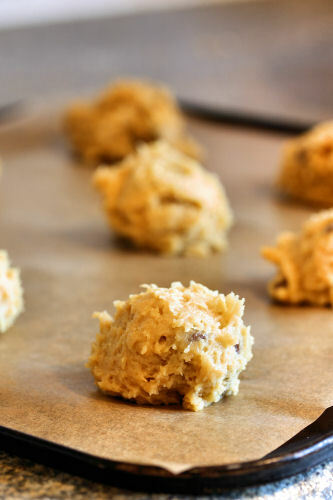 I noticed that the whoopie pie recipes indicate that you need to put your oven on at the beginning of the recipe, but as the dough needs chilling for 30 minutes before baking, you can put it on a bit later. My oven only takes 6 minutes to get to the right temperature and I'm trying to be more energy aware. The filling suggestion which accompanies each recipe is a great idea, and ranges from flavoured creams to scrumptious marshmallow fillings, although you will need a hefty freestanding mixer to make some of them. I filled mine with the simple vanilla bean cream, not having said mixer. So, if you were in any doubt about whoopies, now you know! This book would make a great Christmas present for anyone who loves baking and wants to expand their baking repertoire to include something a little bit different. Makes enough to fill about 9 large or 24 mini whoopie pies. 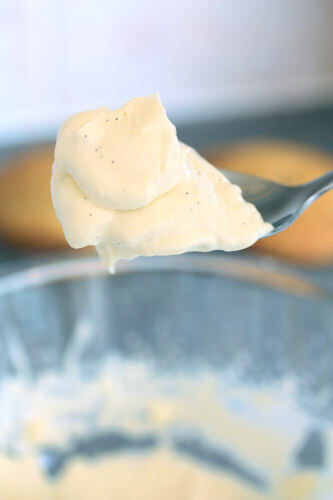 Put all the ingredients into a large bowl and whisk with an electric hand mixer until the mixture starts to thicken. Taste the cream to see how sweet it is, you may need to add a little more sugar, depending on the whoopie pies and how sweet they already are. Chill the cream until ready to use. It will keep for 3 days in a sealed container in the fridge, but may need a bit more whipping before use.